In red hot hiring market, a generous benefits package is essential for attracting and retaining top talent. According to Glassdoor’s 2015 Employment Confidence Survey,about 60% of people report that benefits and perks are a major factor in considering whether to accept a job offer. The survey also found that 80% of employees would choose additional benefits over a pay raise. You don’t need to break the bank to offer attractive extras. 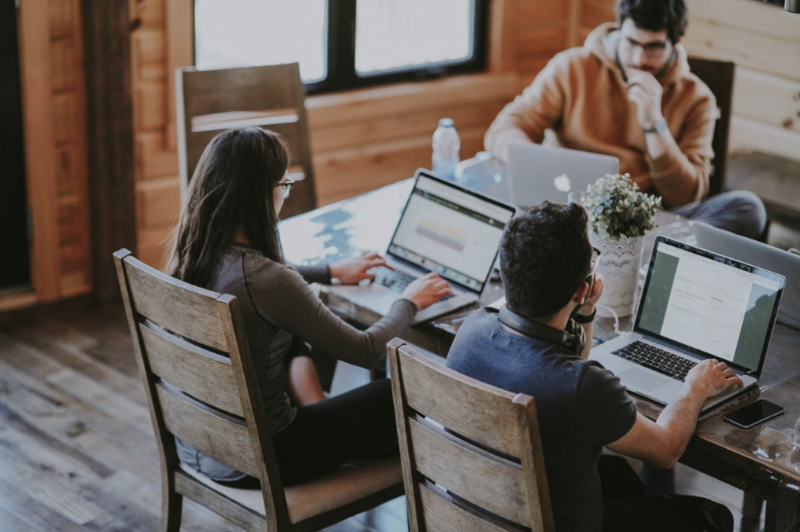 A new survey conducted by Fractl found that, after health insurance, employees place the highest value on benefits that are relatively low-cost to employers, such as flexible hours, more paid vacation time, and work-from-home options. 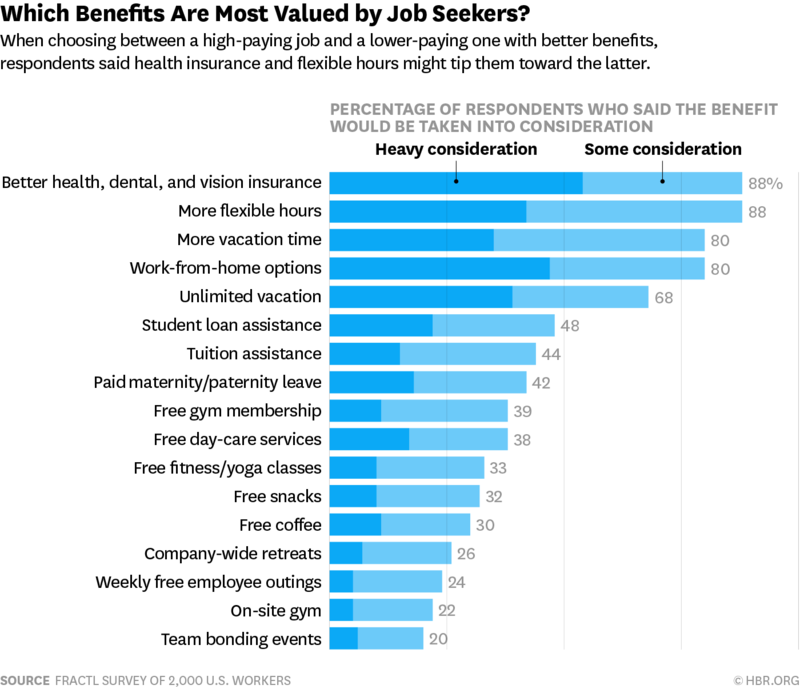 Furthermore, we found that certain benefits can win over some job seekers faced with higher-paying offers that come with fewer additional advantages. Student loan and tuition assistance is ranked highly on the list of coveted benefits, with just under half of respondents reporting that these bonuses could nudge them toward a lower-paying job. A benefits survey from SHRM found that 3% of forward thinking companies currently offer student loan assistance with great results in terms of attracting and retaining top talent.